The eleven Services Coalitions comprising the Global Services Coalition (GSC) have traveled to Geneva during WTO Public Forum week to highlight the vital importance of the WTO rules and dispute settlement to promoting the growth in trade and services. 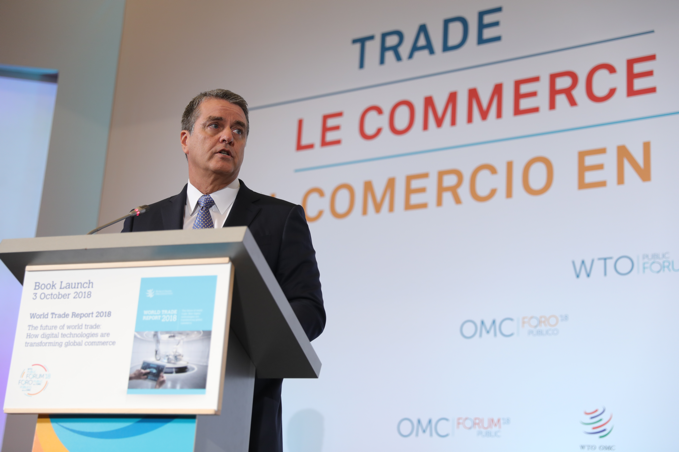 GSC members are urging WTO members to redouble their efforts to work together to find ways to create a re-energized 21st century multilateral trading system, especially by negotiating a high standard e-commerce agreement. The economic force of services is being magnified by the advance of the Fourth Industrial Revolution in which data flows have surpassed trade flows and digital technology and digitally enabled services are transforming all daily lives at work and at home. WTO members have the chance to build on the preparatory work done since the Buenos Aires Ministerial and to prepare for the launch of negotiations early next year to set 21st century rules to facilitate cross border data flows and prohibit forced data localization for all services sectors, provide for trade facilitation as well as other elements. GSC members urge WTO members to make every effort to support this objective. For more details contact Jane Drake-Brockman at exec@australianservicesroundtable.com.au. Download a copy of this press release here. Download two further releases on WTO modernisation and digitally-enabled agriculture.